that encourages every child's natural curiosity to learn. 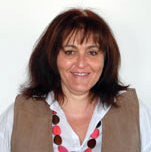 Krassina Andric has been the kindergarten Administrative director since the very start in 2010. Before that she worked as a Public Relations representative of a privately-owned English school in Sofia for two years and as a Retail manager of a luxury brand in London for over 8 years. While living in UK she acquired her BA Honors in Accounting and Management and started her own family. Her personal interest in child development motivated her to further improve her formal education – she is currently building up her Master’s degree in Preschool Education. Albena Markova is our Programme Director and teacher of our Lucky Lions. She is the heart of our educational programme. Her very accomplished professional background includes more than 25 years in both teaching in and managing of young learners’ centres. Her most significant professional experience is her work for 14 years in the first international kindergarten in Bulgaria. 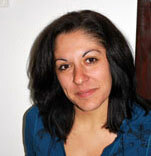 Beni has a Master’s degree in Preschool Education and a second Master’s in Preschool Education Management. She has a Cambridge Advanced Certificate in English and a Montessori Teacher Training Certificate. Last but not least Beni loves creativity and values individuality, and cultivates both in our children every day. where she is currently working towards her Master’s of Psychology as a distant student. Zdravka has years of experience as a kindergarten teacher. She is passionate about folklore and is a keen dancer of Bulgarian national dance. She is also our dance teacher. Boryana is a teacher of our Playful Pandas (3-4 year old). She is an eager researcher of child psychology and behaviour and has a natural love for children. She is currently completing her degree in Preschool Education. Bori is also studying the “Hocus and Lotus Foreign Language Methodology for Young Learners”, a joined project of Sofia University and the University of Sapienza, Italy. 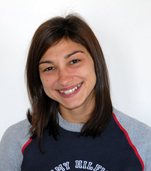 Bori’s long-term goal is to develop her professional career in child psychology. She has been working with children both as a teacher in an international kindergarten, as well as a babysitter to foreign families. Irina Atanasova is our main teacher of the Funny Foxes (our 2 year olds). She has completed her degree of Preschool pedagogy with English language in Blagoevgrad University. She has experience with kids of different ages but her real interest is working with kids of nursery and kindergarten age. She is young, energetic and adores children. Nadia is our music teacher. She graduated the national Music School “ Liubomir Pipkov” with classical guitar. She attained bachelor degree in Preschool Music Education and continues in building up MA in Music Pedagogy. Nadia communicates with our children through music. Songs, Rhythmic and musical games break the morning silence twice a week. This happens with accompaniment on piano or guitar. Besides singing the children enjoy playing all kinds of percussion instruments.She believes that music helps the children to see the world. Fifi maintains our kindergarten in an excellent condition, as well as helps us with serving our snacks and lunch meals. Fifi worked in a wood-processing factory for 36 years and therefore loves wooden toys. Most importantly, Fifi loves kids and makes sure our young learners have the most pleasant and neatly organized environment where they can play, learn and discover.